After the limited NBA betting opportunities available on Thursday, it is good to see that there are plenty of games and options available to basketball fans on Friday. 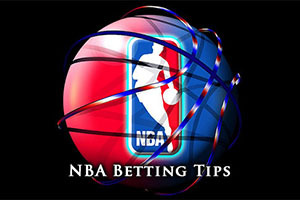 If you love the NBA, the start of the weekend is always the right time to get involved with what the game has to offer. The Hornets were strong at home, holding off the Wizards by a score of 94-87 in Charlotte. The Sacramento Kings cannot say the same, as they were wiped away by the Mavericks. It was a massive away win for the team from Dallas, winning 78-101. There was yet another win for the Cavaliers who keep their strong winning streak going. The latest victory came in a 105-94 win over the Los Angeles Clippers. The Portland Trail Blazers gave themselves hope of reigniting their campaign with an excellent win over the Suns at home. The home fans were treated to a 108-87 win and the Phoenix team were sent on their way with a minimum of fuss and effort. This is a game between two sides that are having a bad run of things at the moment, but to be honest, they’ve both endured a bad run of things throughout the season. The Lakers are on the road with a 13-36 record in total and a 6-19 on their travels. They have lost their two most recent outings and hold a 1-9 record in their last ten games. The Magic’s record over the entire campaign is slightly better, a 15-37 record with a 5-17 record at home but they have lost their last 10 games in a row, so that isn’t too great! When it comes to average points allowed, the Lakers have the edge, 99.3 to 95.9, but for average points allowed, the Magic have an advantage, giving up 102.3 compared to 106.1. Both teams suffered losses on Wednesday night, which means that both of these teams will be keen to get back on track before the weekend really kicks in. The Lakers lost at the Bucks by a score of 113-105 and the Magic lost to the Spurs by a score of 110-103, returning from San Antonio with nothing to show for their efforts against the reigning champions. With respect to injuries, the Lakers are monitoring Wesley Johnson while Jordan Hill and Nick Young have more serious injuries which could see them absent. The Magic are monitoring Victor Oladipo and Aaron Gordon. Taking the Lakers with a +3 handicap, at odds of 1.90, is likely to be a sound bet for Friday. Bet Now! Both of these teams have enjoyed an excellent season so far and a win in this game could be a strong boost for the run-in of the regular season. The Golden State Warriors hold a 39-8 record this campaign, including a 16-6 record on the road. They face the Atlanta Hawks, who hold a 41-9 record, and this includes a 24-3 run in Atlanta. The Warriors have won their last 3 games while the Hawks won after a defeat but their last 10 game record is impressive for both. The Warriors hold an 8-2 record and the Hawks hold a 9-1 record. With respect to average points scored, the Warriors are out in front, 111.4 to 103.4, while for average points allowed, the Hawks hold the advantage, 96.5 to 99.8. The Warriors dismissed Dallas at home on Wednesday with a 128-114 win while the Hawks were also comfortable home winners on Wednesday, defeating the Wizards 105.96. With some people calling this game the game of the season so far, there is likely to be a great deal of focus on this match. The Warriors could be without Festus Ezeli and the Hawks have big doubts over Shelvin Mack and DeMarre Carroll. Taking the Hawks with a +2 handicap, at odds of 1.90 going into this match will ensure you have an interest right to the death. Bet Now! The Bucks head to Houston on the back of a five game winning streak, and they will have a good deal of confidence going into this game. Overall they have a 27-22 record and this includes a 15-12 record on the road. In their last 10 games, the Bucks hold a 7-3 record. The Rockets can boast of a 34-15 record this campaign and while they have won their most recent game after a defeat, they two hold a 7-3 record in their last ten games. The Rockets are good at home, they hold a 17-7 record, and this could be a close match. With respect to average points scored, the Rockets have the edge with a 102.6 record compared to a 98.7 record while the Bucks have the slight edge for average points allowed, 96.7 to 98.8. The Bucks had a comfortable home win against the Lakers on Wednesday night, winning by a score of 113-105. On the same day, the Rockets were winners, defeating the Bulls by a score of 101-90. The Bulls may not be the team that they once were but there was a confident showing in this game that indicates that the Rockets really mean business at the moment. The Bucks have a number of injury concerns for this game, with Brandon Knight, Kendall Marshall, Ersan Ilyasova, Kenyon Martin and Zaza Pachulia all carrying knocks and injuries of different levels. The Rockets have minor concerns over Terence Jones and James Harden while Dwight Howard is a more serious risk for the Houston side. This could be a close one so taking the Bucks with a +6 handicap, at odds of 1.90, is a good way to get your weekend started with NBA betting. Bet Now!